Karey said: "I just spent a lot of time on your website and realized that The Watermill, in Aberfeldy, Scotland has the same feel as the bookstores you show pictures of. The basement has a delightful café. I just went to their website and noticed they were voted the best independent bookshop in Scotland. The owners are Jayne and Kevin Ramage. My husband and I were there in 2008 and had a wonderful time there. We purchased To Kill a Mockingbird from Mary and read it out loud to each other in the nearby B & B, Aillean Chraggan." There are so many aspects which make the Watermill Bookshop special and well worth all the praise and recognition it has received that it's difficult to choose which one to start with. Beginning from the name - this independent bookshop is housed in a former watermill in Abefeldy in the Pertshire Highlands of Scotland. The transformation of the watermill into The Watermill wasn't an easy task and it hasn't gone unnoticed as it received appreciation from the architectural and design community. 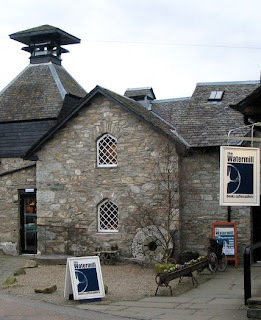 The Watermill's rise to stardom was a fast one - opened in May 2005, it was recognized as the Scottish Independent Bookshop of the year for 2006 and in 2008 it was selected as the best Independent Bookshop in the entire UK. The bold decision to start a project like this in a less populated location has obviously paid off. 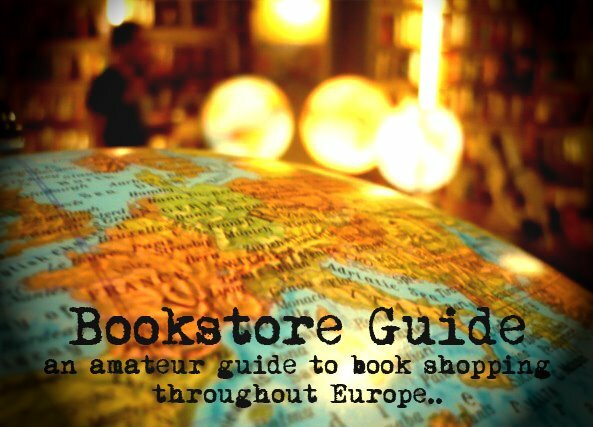 The stock of the bookshop comprises about 5000 titles and is of highest quality as well. The children's section is one of its highlights, books on Scotland, but also on art and design belong to its other strong points. Books for the youngest occupy a special room and reading groups for kids are also held in the bookshop on regular basis. However, the old mill houses more than the bookshop - the underground floor was turned into a fairtrade cafe which offers the finest coffee far around, quality tea and even some pastry, organic sandwiches and soups. As if all this wasn't enough, there is an art gallery at the top floor which offers a collection of prints and a program of contemporary art exhibitions which you can follow on their website, and you can also browse through a small collection of music CDs. To get a better idea, we recommend a personal visit, however if you're too far away and don't feel like waiting, take a virtual tour on their website. Snippy comments aside, this is a really good bookshop. I particularly like the mountaineering section in the basement - not a section too well represented in a lot of bookshops. Only drawback is that there's no book till there - so picking up a book and reading it while drinking coffee/tea and eating cake (very good cakes) either makes you feel guilty or includes a trip up the stairs.